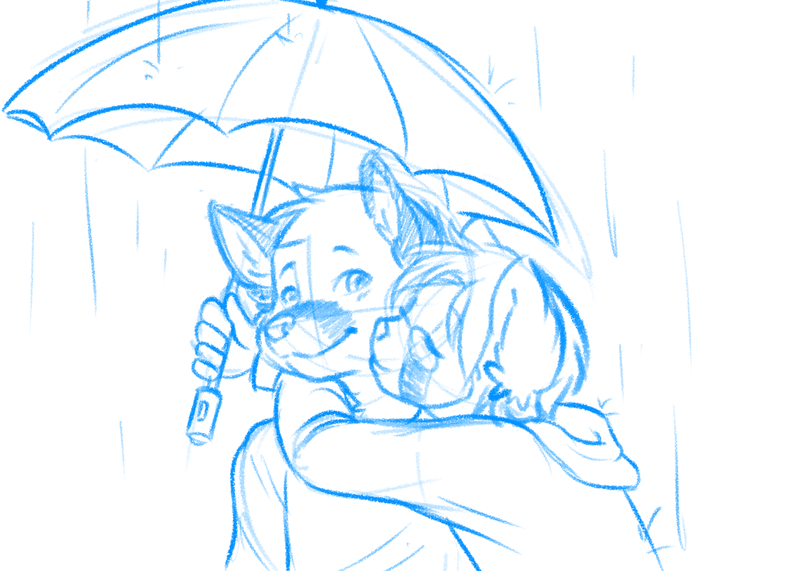 Toby had to go to work in the rain, so I drew him a thing to cheer him up. I'd hold an umbrella over his head all day if I could. Aw, that's sweet. It's so wonderful to have a caring partner like that, and the two of you are just adorable! I hope he didn't get too wet today! Thanks! And unfortunately he came home pretty damp, the poor thing. Ooooh, that's a good one!